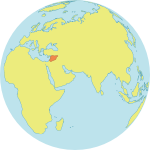 DARA’A, Syrian Arab Republic – With the crisis in Syria soon to enter its ninth year, the people of Dara’a Governorate face especially harrowing conditions, with hostilities killing civilians as recently as July. Dara’a residents continue to require life-saving aid, including the full spectrum of health assistance. The majority of health facilities are either partially or completely destroyed, and many health workers have exited the country. In particular, there are critical shortages in the provision of reproductive health services – from family planning to antenatal and postpartum care – and newborn care. The long, grinding conflict has shattered the economy of Dara’a. The years of violence and deprivation have left women and girls especially vulnerable. Fatima* first became a grandmother at age 27. Now, at age 29, Fatima expressed relief that the national hospital in Dara’a was able to provide maternal health care to her daughter. The girl – only 13 years old – was in need of safe childbirth services. After giving birth, the girl was admitted to intensive care, and her son was placed in the hospital’s paediatric intensive care unit. UNFPA is supporting the hospital with maternal and newborn care equipment. As Fatima watched over her grandson’s incubator, she spoke to UNFPA about the hardships she had endured. Her husband died in the conflict. Without his income, the family struggled to survive. Their young daughter was married off in hopes that she would be better supported by her husband. Yet child marriage is a human rights violation, and it often leads to early pregnancy, which exposes girls to significant health risks. “These series of early marriages have become like dominos,” said Omar Ballan, UNFPA’s Assistant Representative in Syria. At the end of February, a UNFPA team visited the National Hospital of Azra, the clinics of Dara’a and the General Authority of Dara’a Hospital to review the health situation. The health facilities in Dara’a recently came under the full control of the Government. 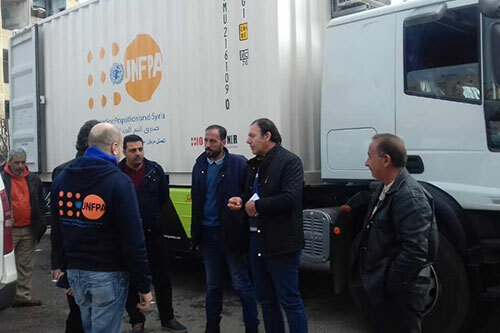 UNFPA is working with local partners, including the Syrian Arab Red Crescent, the Syrian Family Planning Association, as well as the Ministry of Health, to continue delivering reproductive health services throughout the governorate. This includes training and equipping health workers and procuring medical equipment and supplies. UNFPA has provided to the Ministry of Health the first mobile hospital in the governorate. It is one of five mobile hospitals to be launched in Hama, Homs, Dara’a, Raqqa and Deir Ezzour. Each facility includes a special room for reproductive health services for pregnant women and a maternity ward to help ensure safe childbirth. In 2018, some 82,000 people in Dara’a were reached through UNFPA’s programmes, including not only health services but also youth projects, women’s empowerment interventions and aid to survivors of gender-based violence. But much more is needed, officials say. “Working at the health facilities level is not enough,” said Dr. Hala al-Khair, a UNFPA reproductive health official. People also need access to health and human rights information, and they need to be able to find alternatives to harmful practices like child marriage. “We need to work also at the community level to improve the health status of the population in Dara’a,” Dr. al-Khair said.